Area code 367 was put into service as a distributed overlay of area codes 418 and 581. Ten digit dialing (area code + seven digit number) is necessary in the 418/581 overlay because different homes in the same geographic area can have the same seven digit phone number but each would have a different area code. 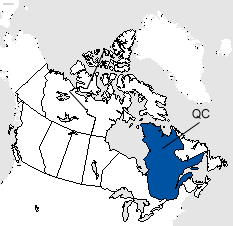 Area codes 418, 581 and 367 cover much of eastern Quebec including the larger communities of Quebec City, Côte-Nord, Chibougamau, Gaspé Peninsula, and Saguenay.